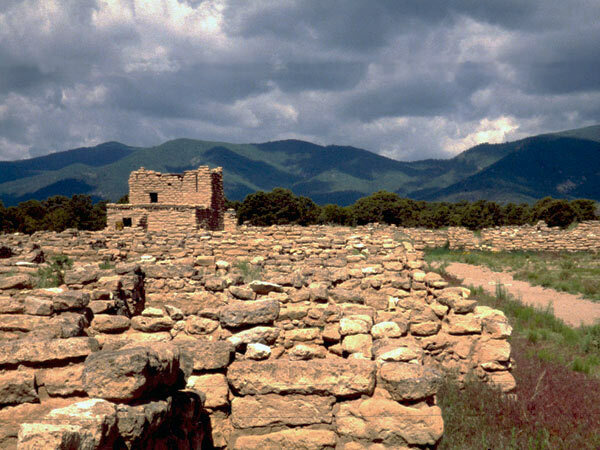 High atop the Pajarito Plateau sit the ruins of a prehistoric settlement carved into the rock face. 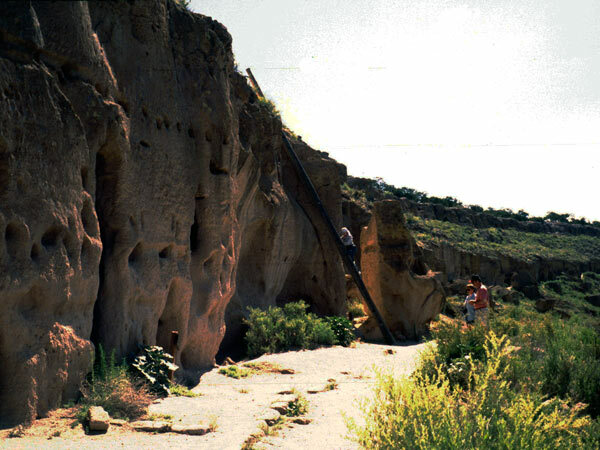 This arid, windswept precipice, composed of volcanic tuff and characterized by sheer cliffs, houses two-story cliff dwellings carved 200 feet above the ground by the ancestors of the Santa Clara people in the thirteenth century. 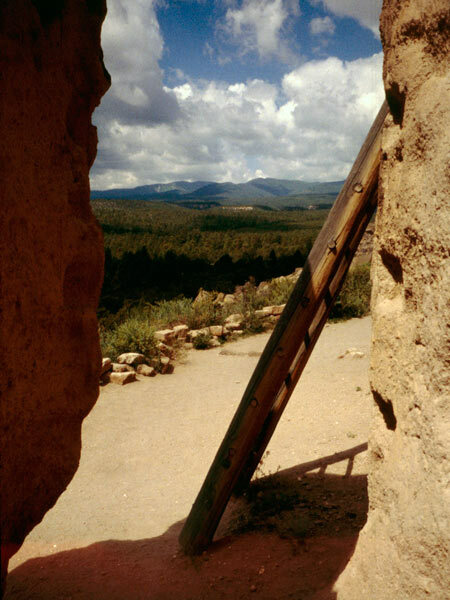 On the soft rock faces they carved the dwellings and steps, hand-holds, and petroglyphs. 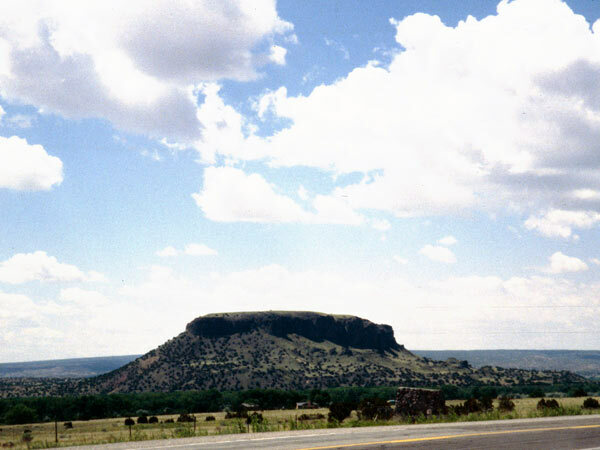 Masonry and adobe houses were later constructed on the mesa top, including a larger pueblo with a 150-foot wide interior courtyard. There is also evidence of garden plots, a reservoir, and possibly an irrigation canal. The settlement was home to as many as 1,500 inhabitants in 740 rooms at its peak, but was deserted circa 1580. Archaeologist Edgar Hewett brought attention to the significant site when he excavated it in 1907. 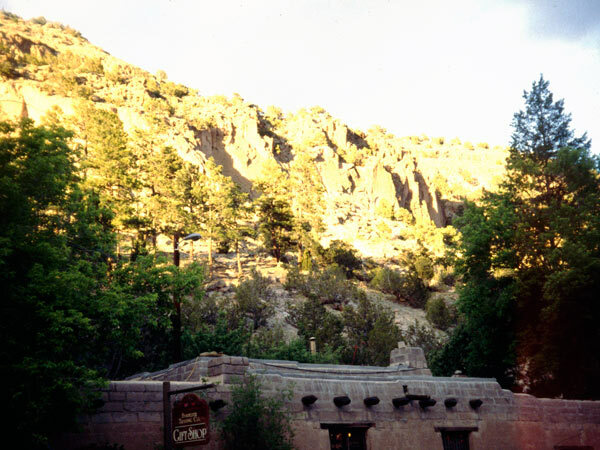 Soon thereafter the Fred Harvey Company introduced their Indian Detours program with a bed and breakfast built at the foot of the cliff, part of a larger effort to enable tourism by railroad in the Southwestern United States, which lasted until World War II. From the 1950s the site was loosely open for visitors but closed in 2000 due to a fire. 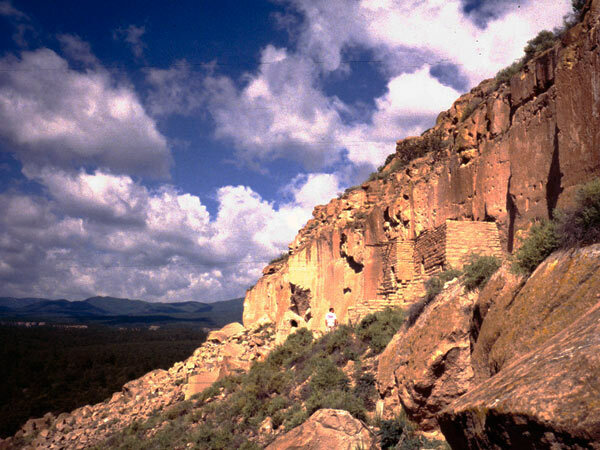 Since 2009 the Harvey House has served as the site’s interpretive center, from which visitors can access a steep cliffside trail leading to the cliff dwellings. 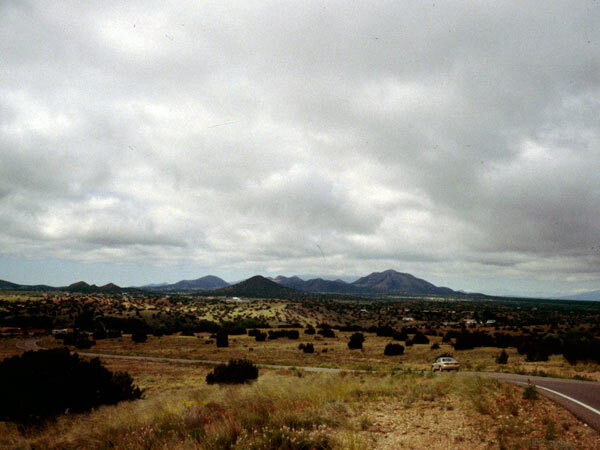 Parking and another trail on top of the mesa provide additional access. 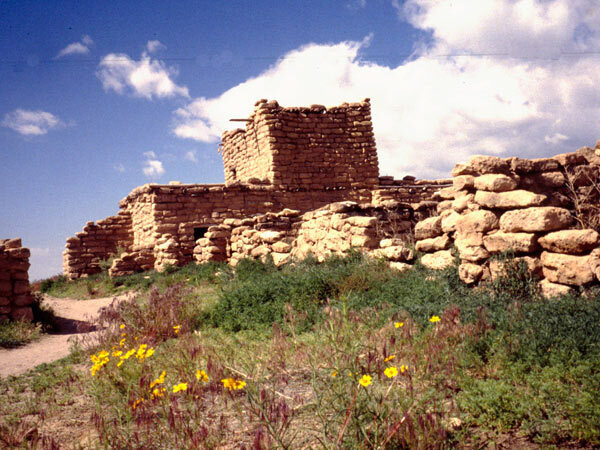 The ruins were designated a National Historic Landmark in 1966.